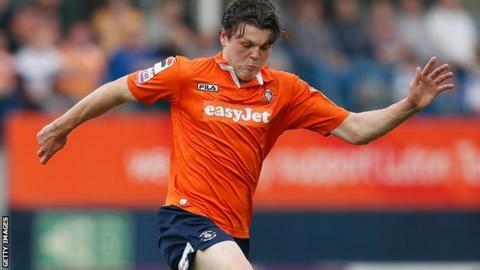 Grimsby Town have signed Luton Town midfielder Matt Robinson on a one-month loan deal. The 21-year-old, who had a loan spell with National League rivals Kidderminster last season, has not featured for the Hatters this season. He helped Luton win promotion back to the Football League in 2013-14, scoring two goals in 27 appearances. Robinson could make his debut for Grimsby in their home game against Torquay on Saturday.